Ahhhh Mothers day is fast approaching and always the question of what to buy looms over my mind? Every year i have to rake my brain for idea’s and try hard to think of something my Mum wants, likes and lastly needs, I always try and leave the need till last, what fun is a present if you need it! 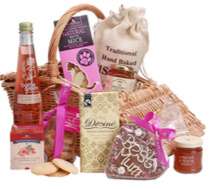 This year I have decided to share my TOP 7 Mothers day gift ideas, leaving the best till last! Overnight adventure – Mother sibling time is always something a mother wants and a hotel room in the city or at the beach could be a really nice gift to enjoy together on Mothers day or even creating a gift card to use later in the year together. 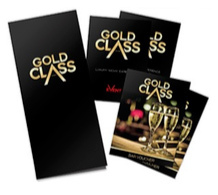 Gold Class – Movie tickets, what Mum doesn’t like the movies?? I took my Mum to gold class & she thought it was the greatest experience ever! Buffet Lunch – There are tonnes of great lunch’s being organised on mothers day, lunch cruises, breakfast’s, brunches, high tea’s are going on in the Sutherland Shire, Sydney City and all over the greater Sydney area, in my opinion all Mum’s are excited to have a lunch they don’t have to cook and to be honest when my Mums hears the word Buffet – she is sold! Photo Album – Lots of moments pass buy in a year and these days not all photo’s ever get printed, re-live the year and add a little craft to the album personalise it up a little, trust me a Photo album is a great addition to a gift or a lunch. Vintage Gift – I always troll Ebay & Gumtree for unique gifts my Mum is a antique fan so if i can find anything on the net i’ll have a winning gift but it’s always a big IF, also eBay has a variety of vintage prints & magazine clippings that can then put into a nice frame. Birthday Edition (I saved the best till last) – It is very common these days that when a child is born a parent or relative buy’s the Birth date newspaper so they will forever have the memory of their world on the day they were born, is this the case for our Mum’s?? It wasn’t for my Mum, I found the edition from September 1962 on her Birth date and it was a winning present, my Mum was very humbled and overwhelmed by the thoughtful gift, i highly recommend finding your Mums or even Grandmothers newspaper, your local library should have it in the archives they can send you a PDF and your Officeworks can print it A3 size.